After being back from Aussie, I felt like I needed to go out for a walk, see if there is any changes in town, do some shopping (oh ya, the queue at the newly opened Honey Creme is insane! Probably gonna wait a few months till the initial hype is over...) I also wanted to satisfy my craving of KFC's BBQ Cheese Meltz and my dose of llao llao yogurt! 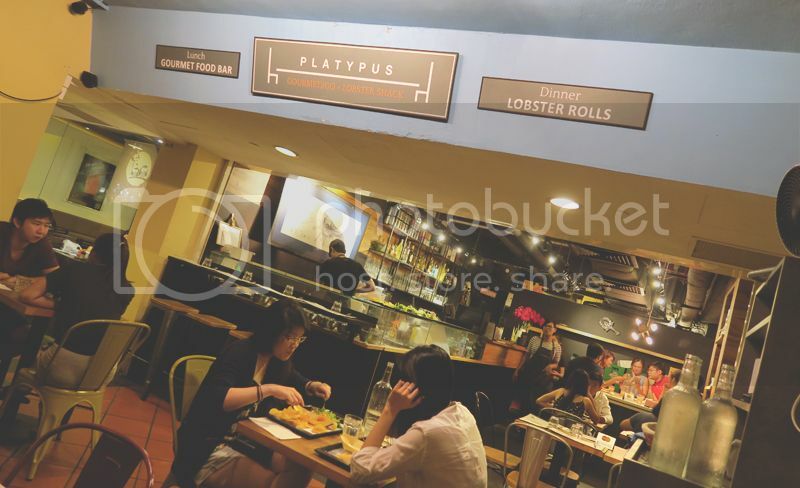 I say until like as if I've been away for 2 years but in actual fact I left for 3 weeks only, LOL Got my weekend all planned out nicely and even made reservations to have Lobster Roll at Platypus Lobster Shack! First time trying out Lobster roll! "The extra 100 mins will come in handy to call my grandma who doesn't use SMS and I'll use the unlimited data on SingTel WIFI to talk to my jie who has a year left to complete her masters overseas. I knock off work at Raffles Place around 8pm which is the time she wakes up and having SingTel WIFI at Raffles Place MRT while I wait for my train makes it so much easier to pop an early morning video call to say hi to her without worrying about exceeding data :)"
Within 10 seconds, my phone was automatically connected to the dedicated SingTel WIFI network and the connectivity was significantly faster! No need to login or whatsoever. For those who are already on SingTel Combo Plan, you get to enjoy UNLIMITED WIFI usage from now till 31 July 2015 and subsequently, all combo plans will come with 2GB of WIFI data allowance! Refer to this LINK for more info and for the updated list of places with SingTel Premium WIFI coverage! Overview of Singtel's combo plans. 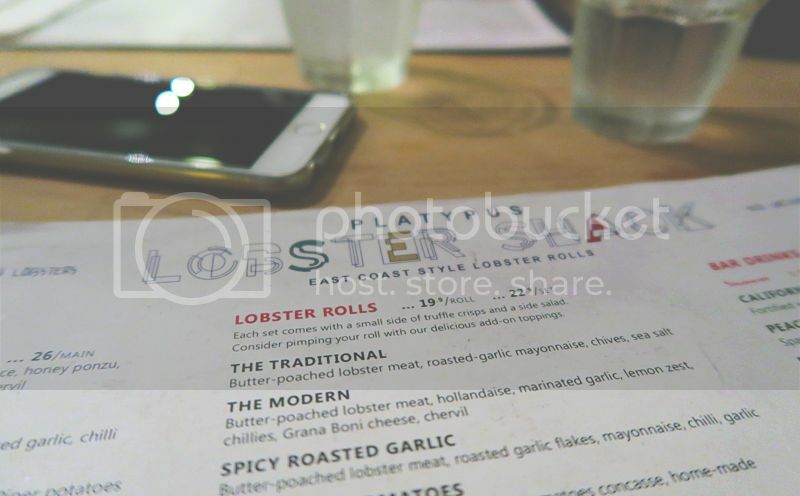 Recently there has been a hype on Lobster Rolls and there are a couple of pretty popular post on "top (insert x number) lobster rolls to try in Singapore" so the 4 of us (Jing long, Fenny, Angie and myself) went through the list and decided to give one of it a try by choosing one of the more value yet affordable Lobster Roll in Singapore - Platypus Lobster Shack. Lobster Roll at priced at $19.90 each or $22.90 for a set which comes with a side salad and truffle chips. 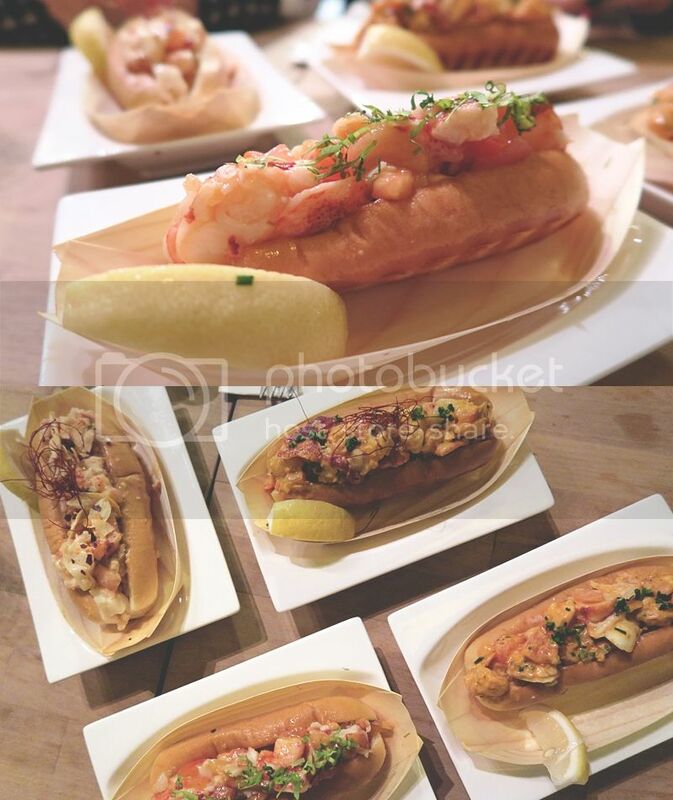 It would definitely be more worth it if you order the set but we decided to order 4 different variation of lobster roll and a bowl of truffle chips ($6.90) to share since we are not really into the side salad. The chips was pretty disappointing in my opinion. It's totally like those BBQ potato chips you can find anywhere and drizzled with slight truffle oil on the surface.